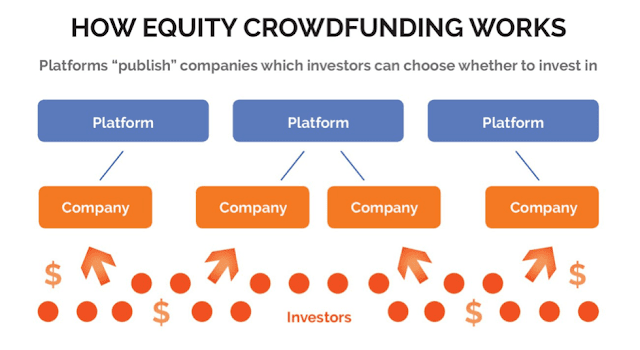 Finance Malaysia Blogspot: [Crowdfunding] What is Equity Crowd Funding (ECF)? What's in it for SME and start-up companies? What's in it for general public as an investor? Yes. Similar to P2P lending, all approved ECF platforms must have a dedicated trust account (operated by public trustee) for each of the issuer company. Monies obtained from investors are placed in a third party trust account until the appropriate disbursements are required to be made. All of the transaction was recorded in trust account to protect the interest of the investors and a certificate of ownership will be issued to all investors. This effectively avoid the misappropriation of investors' monies by ECF operators. In our next article, we will blog about each of these ECF platforms in Malaysia. Stay tune!